Carrying 100 million passengers in 2023, this way almost doubling their 2018 expected number of travelers (56 million): It would be a perfect birthday present to Russia’s largest airline group, that looks ahead to its centennial celebration in almost four years. Given the target of transporting 100 million passengers by 2023, this means the Aeroflot group would up its market share from currently almost 50 percent to 63 percent by then, remarkably growing its influence in the Russian skies. Accordingly, their cargo business would also be upped due to additional capacity the airline can offer shippers and forwarders as result of the SU Group’s projected fleet expansion and steadily increasing domestic market demand for freight transports. The ambitious plans are central elements of a five-year trajectory with the flagship airline Aeroflot and its low-cost arm Pobeda being assigned the role as main growth engines. 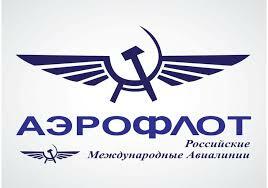 In contrast, group members Rossiya Airlines and Aurora are allotted only complementary tasks. On top of Aeroflot’s 2023 agenda stand transit services via Moscow, linking European countries with East and Southeast Asia, this way upping the number of intercontinental travelers and air freight consignments substantially next to domestic transports. Today, roughly 5.5 million travelers book an Aeroflot flight on international routes; in 2023 as many as 15 million are targeted by the airline’s management. However, according to forecasts it will be LCC Pobeda who will deliver the biggest boost of passengers, reaching nearly 30 million in 2023, a tremendous increase measured on the estimated seven million in 2018. Part of the 2023 roadmap are plans for a reshaped network. Currently, 85 percent of the carrier’s traffic is operated via Moskov Sheremetyevo airport. In future, particularly international routes will be diversified, turning Krasnoyarsk Yemelyanovo Airport into a hub. Located in central Siberia, KJA (IATA code) offers abundantly free slots and 24/7 availability. By eying Krasnoyarsk as second international hub next to Sheremetyevo, Aeroflot is banking on the immense passenger and cargo potential flying between China and Europe. Last but not least, the group aims to create three regional bases at Sochi, Novosibirsk and Yekaterinburg. This goes hand in hand with the expansion of the short and medium-haul fleet based on the decision to rely on Russia-manufactured Sukhoi Superjet 100s instead of purchasing Airbus or Boeing jetliners.